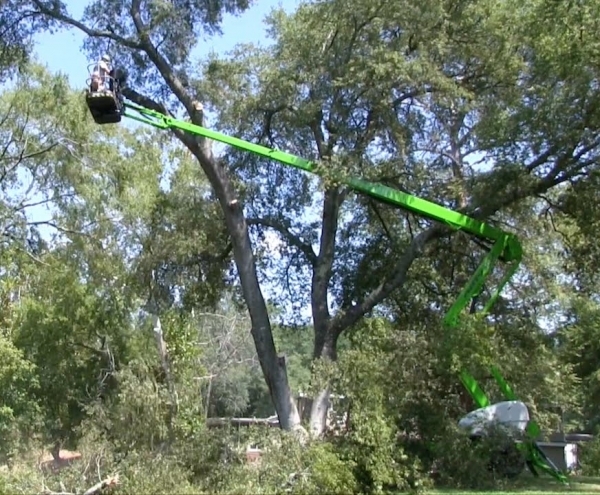 We Provide 24/7 Emergency Tree Service! 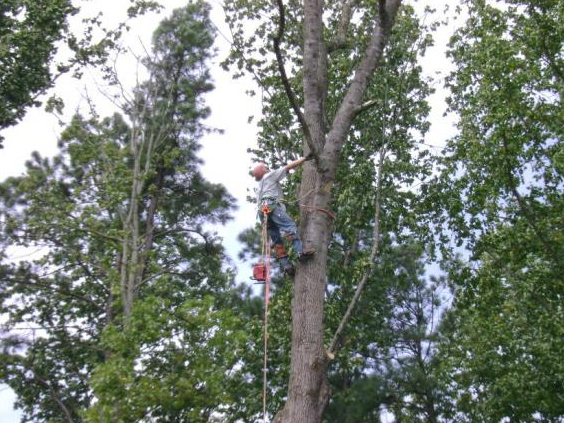 Choose Chipper LLC Tree Service For All Your Tree Service Needs In Woodstock! For over 10 years we have created and retained a large group of customers, based on our commitment to quality and affordable tree service pricing. Our commitment to reinvest in our company has grown us to have the manpower, tools, equipment to handle both residential and commercial tree service work. We would love the opportunity to become the company you turn to for your tree service needs! Our mission is to earn your business by providing superior tree services at unbeatable prices by working harder and by working smarter than the competition. We firmly believe that the focus needs to be on satisfying the customer as our first priority. If you're experiencing a tree emergency, call us at (678) 591-7797 asap! At Chipper LLC Tree Service, we know how important it is to quickly remove the tree that's landed on your house so your roof can be stabilized and tarped off. We have multiple full-time estimators for prompt service. 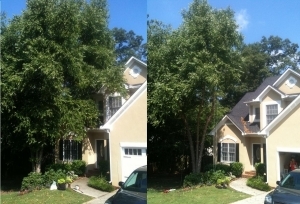 We can also tarp your roof for you immediately after removing the tree if needed. We strive to be as environmentally conscious as possible with our demolition methods, and make every attempt to save metal roofing and framing, copper, and aluminum for recycling rather than dumped in our landfills. Likewise, tree debris is converted to logs, firewood, or natural wood chip mulch. From fallen branches and leaves to demolition and removal of damaged structures, we are equipped to handle all your after-the-storm needs. We offer turnkey clean-up packages at very competitive rates. We are environmentally conscious in our demolition methods and will make every effort to save metal roofing and framing, copper, and aluminum for recycling rather than dumped in our landfills. Likewise, tree debris is converted to logs, firewood, or natural wood chip mulch. We want to be the tree service for all your tree removal needs. We'll perform your tree removal job with minimal impact on your lawn and surroundings as well as use turf friendly track mounted machines, and even do jobs by hand when required to protect your lawn. Why Would You Want To Remove A Tree? Unfortunately, tree roots sometimes can clog up your septic system, or they can crack your driveway, sidewalk, pool, or foundation. Since there is no way to stop this other than tree removal, it is always best to do some research or consult a landscape professional when choosing a location for trees around a house or driveway. Oftentimes, people fail to understand the mature growth size of a tree before they plant it or they just plan to sell the house before it reaches maturity - leaving the next owner to have to pay a professional tree service to remove the tree. While the right tree in the right location can increase a home's value, the wrong tree can hurt home values. Often, we can improve the curb appeal of a house in the woods by raising the tree canopy, which is simply removing the lower limbs blocking the view of the house from the road. Unfortunately, sometimes to improve the curb appeal we have to resort to tree removal. Removing hazardous dead tree limbs can help to prevent property damage, prevent physical injury, and help to promote new tree growth - all while increasing the aesthetic appeal to your yard! In addition to this, proper tree pruning also helps to improve your line of sight for safety reasons, curb appeal, and help to reduce the clutter or mildew build up among your shingles. Trimming your branches closest to your house also prevents those pesky critters such as squirrels or mice from getting into your home. While we don't offer pest control services, we do remove the tree limbs that squirrels will use to enter into your home! So Which Sort Of Trimming/Pruning is Right For You? This type of tree trimming is removing only unhealthy branches. 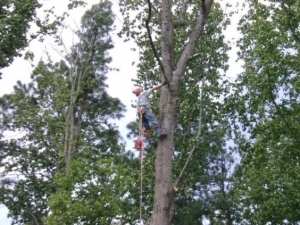 This is part of routine tree maintenance, where all dead and diseased limbs and limbs too close together, or with attachment points too close together, are removed. Starting with young trees is the right way to prune. A little work in the first 5-10 years of a tree's life can save a lot of work later. Trees respond well to pruning when young and pruning mistakes aren't as critical as they are on a mature tree. Bypass Loppers are the best single tool for tree pruning. As you become more advanced you might add more tools to your arsenal. When trees are really young you can focus on shape and as they get older you can focus on removing branches that are too close together or even rub each other, and branches that have weak unions. As we covered earlier, it becomes more difficult to prune trees as they get older. "Chipper LLC, Thanks for a job well done! I appreciate the fast response and attention to clean up. A very satisfied client"
"We were very pleased with the work you guys did. Most importantly we were very impressed by the way the mistake was handled (broken limb damaged shed) It is evident that your company strives to be the best at what you do and your employees strive to do the best job possible. Not many companies out there would own a mistake and take care of it as quickly and professionally as your company did." If you think your home in Woodstock could benefit from tree service experts, contact Chipper LLC Tree Service today for affordable pricing and quality service! We are available for emergency tree removal and service, and can help transform your yard into something beautiful once more. Contact us for a FREE estimate ASAP! Looking for affordable tree, landscape and grading equipment rentals? The contents of this webpage are Copyright © 2019 Chipper LLC Tree Service. All Rights Reserved.